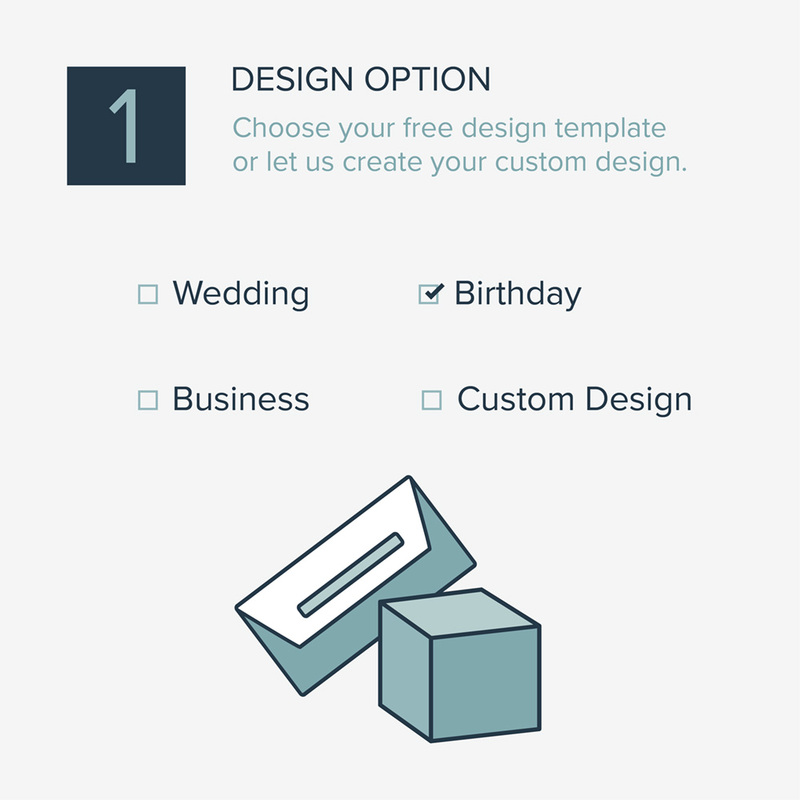 We offer a large selection of free design templates for business events, weddings and birthdays. At the moment personalisation forms are only available in German. 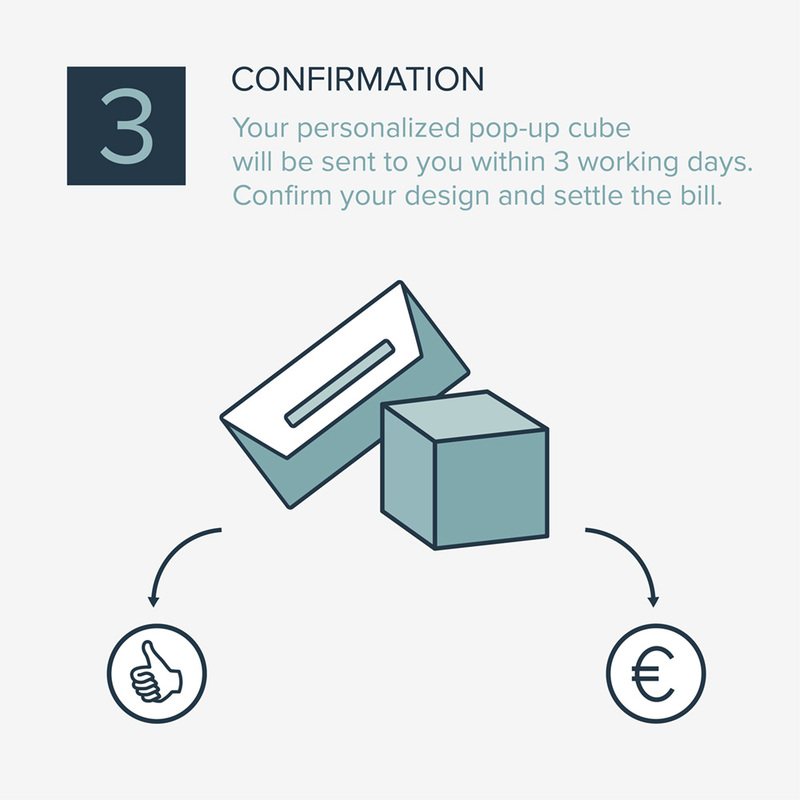 To request a free design template in English, choose your design on the pop-up cube page and hit “Product inquiry” button. You can also request for a custom design. Contact us in case of further questions. 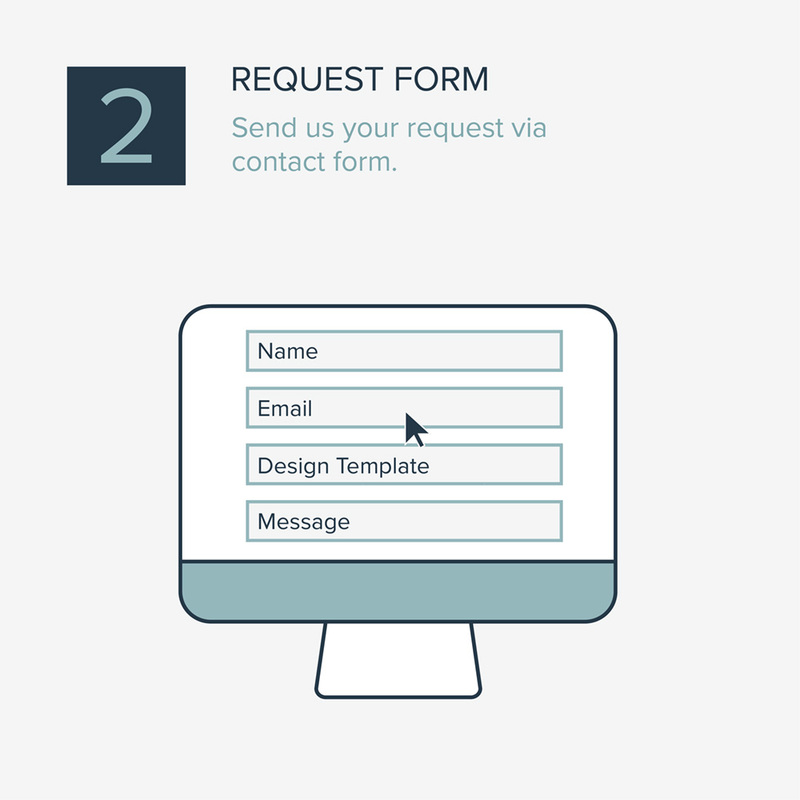 As soon as we receive your request, we will contact you to personalise your design template. Confirm the draft design and pay the invoice. We will then pass on your I Qube You set order to the printer. 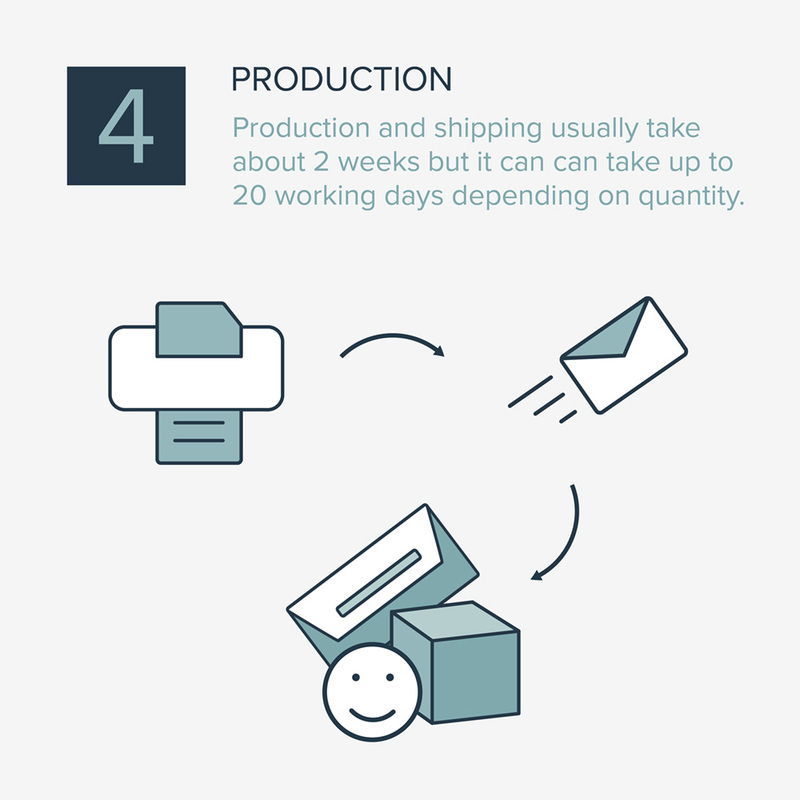 Production and shipping usually take about 2 weeks but it can can take up to 20 working days depending on quantity.